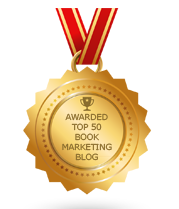 BookMarketingBuzzBlog: What Do Authors Want To Hear About Book Publicity? Authors work very hard at perfecting their craft, courageously putting their heart and soul out to the public to be judged. They must work just as hard at promoting themselves. Are they really mentally prepared to do what it takes to successfully brand themselves and market their books effectively? Most authors do not thrive when it comes to promoting a book. They lack the time, skill, know-how, and resources to do a great job. But most of all, they lack the desire. They fear it, loath it, and consider it as an exercise that takes them away from pursuing their true passion and talent, namely to write. So what do authors really want to hear about when it comes to book publicity? However, none of it is true. Authors may want to believe in one or more of the above myths, but they will be disappointed if they truly embrace such thinking. To achieve any book-related goal it takes persistence, savvy, dedication, hard work, luck, and some resources. You can’t simply have a book published, do little to market it and then miraculously hope it gets discovered, shared, and sold on a large scale. That simply doesn’t happen by itself. The opposite is also true. Just because you pour your heart, time and money into a sustained book promotion campaign doesn’t guarantee you any substantial returns on your investment. Why? Because even the greatest PR effort can’t sell a mediocre or bad book. Sometimes media attention brings a consumer up close with your book, but price, design, writing, or packaging turns the reader away. Media attention is needed, but so is distribution. Your book is competing with literally thousands of newly released books every single day – not to mention other content and things that could easily lure their attention from your book. So no, executing a media campaign doesn’t guarantee success – but it positions you to potentially experience success. By doing little or nothing you guarantee a return of little or nothing. You must promote your book! It’s not inexpensive, I know. It’s not always fun, I know. It doesn’t always work, I know. But I also know that good things can come from pursuing a smart, comprehensive book publicity campaign. You need to be in it, to win it. Don’t get sucked into embracing lazy myths about your book – and don’t expect an instant best-seller. Expert to work at promoting your book for a decent chance at some success.